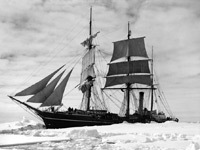 The Heroic Age of Antarctic exploration from 1898-1922 saw many real-life experiments with the equipment and techniques required for efficient travel in polar regions. This was the first time in history that people had been to Antarctica and they had to come up with clothing that allowed the exploration of this last place on earth that we discovered and then later to live and work there with the harshest cold climate of all. The biggest problems were with footwear and moisture retention by clothing and sleeping bags which would freeze hard when removed. 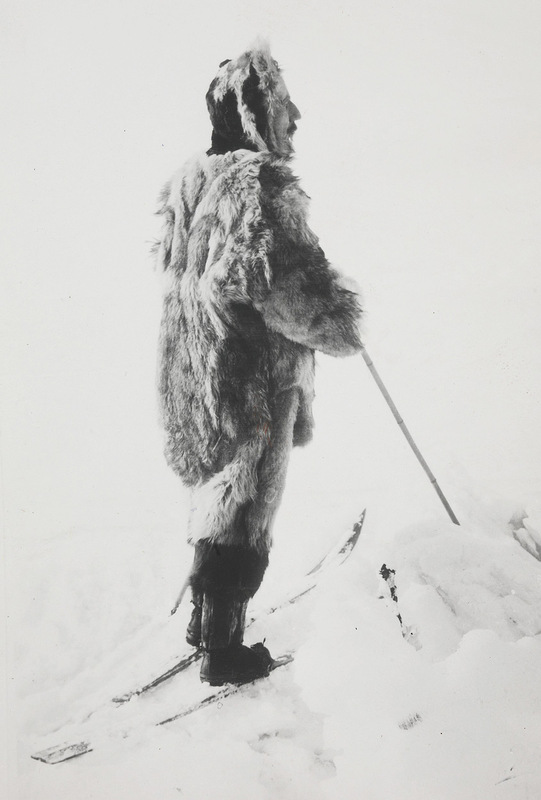 Inuit style fur clothing as used by Amundsen was efficient and already proven. It wasn't readily available or widespread however and was also expensive and difficult to repair if damaged. Furs and skins were regarded by many as rather primitive or uncivilized and the manner of their use was not well understood. Much experimentation went on with materials, designs, and the layering of different items of clothing. Most garments were made with natural fibers as synthetics were limited in variety and only in their infancy. Early exploration whether by manhauling or dog sledding was a very physical process, little or no powered equipment meant that any work was always more physical than it is today. Harder work meant more sweating, sweat which would soak into the clothing and become uncomfortable or even dangerous when it cooled and started to freeze affecting flexibility and ease of movement as well as warmth. Moisture formed in sleeping bags in such a manner could quickly turn to ice making the bag difficult to roll up becoming stiff and then again in the evening when it could be very difficult to get into a stiff and frozen bag before body heat could start to warm it up and soften it again. Progress was made partially by trial and error to work out which materials would work well and which wouldn't. A lack of suitable flexible lightweight insulation was a problem particularly with footwear. Initially the most effective solution were boots which were filled with "sennegrass" the dried leaves of what is actually a type of sedge (rather than a grass) found in the Arctic and traditionally used by the Sami people (sometimes referred to as Lapps) in their komargar reindeer skin boots. While this was very effective, there was some skill required in its most effective use and it wasn't ideal as the sennegrass would slowly deteriorate meaning a supply was needed for replenishment. Early clothing designs were often too close fitting for active work in very cold temperatures, close fitting seems intuitive for cold weather clothing but it also meant that sweat would quickly accumulate making the clothes cold and clammy at rest. The furs that the Inuit used were loose fitting for ventilation during exertion with the ability to draw them tighter to the body in colder conditions or when at rest, something that was not appreciated by those who disregarded their use. Hoods as a part of the shell layer were not always used which allowed exposure of the neck during movement and also more warmed air to be pumped out during movement, only slowly was the Inuit style parka in fur or other materials adopted with it's built-in hood. On the journey to the South Pole and back with Captain Scott in 1911/1912 Captain Oates famously declared "I am just going outside and may be some time" before walking from the tent in a blizzard to never be seen again. He went out in his socks as his now bald reindeer skin and sennegrass finnesko boots were impossible to get on over his painfully frostbitten feet. Oates suffered the most in this regards but all of the party were suffering too. Developing effective polar clothing was a question of survival, not just comfort. Note the jacket which is of natural materials with widely spaced buttons, no hood, a scarf prone to coming loose, and thin soled boots with little insulation. Roald Amundsen wearing polar clothing in a publicity photograph taken in Norway. The anorak is made of wolfskin of Inuit design, it is an over-the-head style with a built-in hood to avoid the ingress of wind and has a long tail. He is also wearing fur trousers and boots and would have worn fur underwear when on an expedition. While on his journey to the South Pole he sledged only in this underwear at times to cool down. While fur clothing is now impractical for a number of reasons, aspects of the design of such graments honed by hundreds and thousands of years of use by Inuit peoples are still in use today. The layering system was developed during the Heroic Age and was a successful one with different layers having different functions, a base layer to wick away sweat, then a comfortable and variable insulating layer with a windproof but moisture permeable layer on the outside. Layering isn't simply about quantity, the different layers have different properties. There were still mistakes made however, as late as the 1940's Canadian servicemen would risk disciplinary measures rather than wear uncomfortable and impractical outdoors polar wear made of blanket material that the wind blew freely through. Lessons with cold weather clothing are hard won and can be easily forgotten. The string vest, an unlikely looking piece of cold weather wear, a very open weave cotton vest designed to trap a stable layer of warm air when worn under another wool underwear layer. The incorporation of a hood as part of the shell garment as a matter of course. Insulating layers that can be loosened up to increase ventilation and prevent over-heating when necessary such as neck and sleeve buttons and short zips. Zip fasteners, to allow easy adjustment of layers and complete closure of layers for increased warm air retention and to prevent wind ingress. The development of new materials, natural such as ventile, a sort of high-tech cotton and of man-made materials. Boots with their own upper insulation and thick insulated soles. 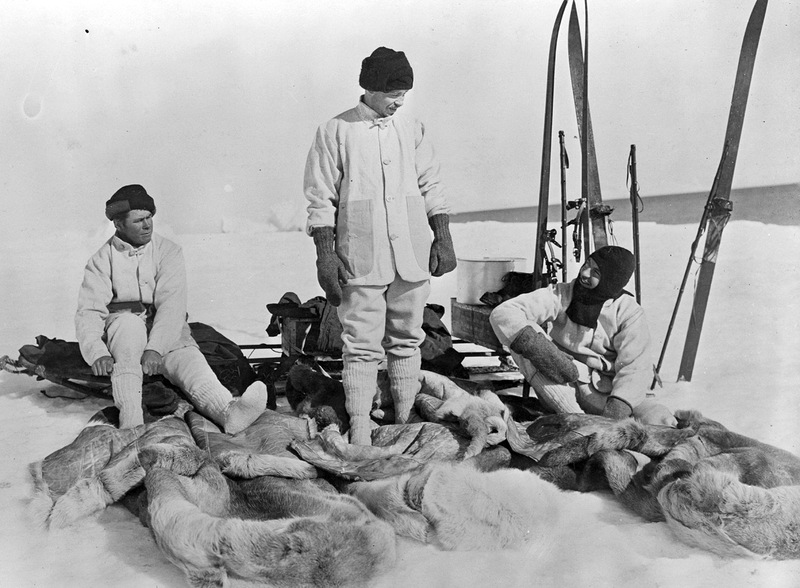 7th Feb 1911, Scott's expedition members wearing Wolsey (brand) knitted woolen underwear, reindeer skin sleeping bags on the ground. 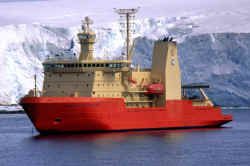 The clothing is a mixture of arctic, alpine and naval wear. The list comes from captain Scott's first expedition, the Discovery Expedition of 1901-1904, and is for a single expeditioner, with commentary from the expedition. The Jaeger wool clothing is the very best that can be recommended for underwear, but it is absolutely useless as an outer covering, as it allows the wind to penetrate and gathers snow. 1 Pocket Knife, containing corkscrew, tin opener, cartridge extractor etc.